Teleworking in the 21st century means having instant access not only to your office email anywhere you go, but also to internal network resources, such as LDAP, FTP and file shares. Inevitably this means setting up a virtual private network (VPN), which is the bane of any administrator. But a new breed of VPNs run SSL encryption over a standard Internet connection, bringing VPN power to anyone with a web browser. This Billion VPN is a great example of the new technology wave: it's a tiny fraction of the normal VPN price, it requires almost no setup whatsoever, and it does indeed work with Firefox, Internet Explorer, Opera and Safari. Inside the box is the unit itself, a skimpy quickstart guide, some cabling and of course a CD where the real documentation lives. But, in credit to Billion's quality hardware design, the documentation is rather redundant - you can just plug it in and it should work straight away. Configuration of the unit is done entirely through your web browser; plugging your PC into one of the four LAN ports gives you privileged access to the device. From there you can configure it, add users and define what connections are available. It's all in one place, it's all very easy to find and use, and it all works first time. But - and there's always a 'but' when something is cheap and good - to get the most from the Billion VPN you need to be using Internet Explorer. What's more, you need to install an ActiveX control on your browser, which essentially rules out its use from internet cafes and any other machine you don't have administrator access to. The missing part is the network extender, which uses a virtual network device to give you an IP address on the remote network. With this enabled, you can leave IE running in the background but then use the rest of your computer as if you were physically connected at your workplace. As soon as IE terminates, the connection closes, so it's all very secure. Internet Explorer requirements aside, our only real niggle is the lack of a proper SSL certificate - both IE and Firefox bring up multiple security warnings because the certificate isn't correct. These two flaws disappear when you take into account the sub-£300 price, which is perfect for small businesses or even enthusiastic home users. 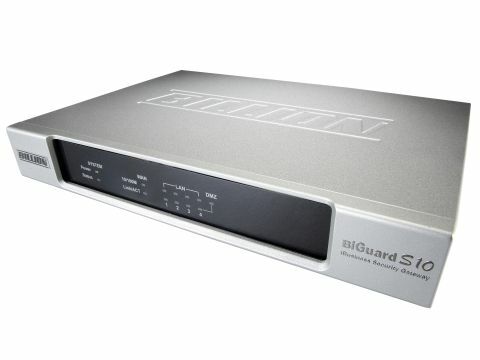 Yes, it does limit you to 10 simultaneous connections, but if you ever need to upgrade there's always the BiGuard S20, which allows twice as many.